I’m still not tired of listening to ‘Emanuelle’s Theme Music‘, special favourites are ‘Estrella’, ‘Invasion’ and ‘Inactive Dreamer’: soon come more good stuff from our man in Chicago. 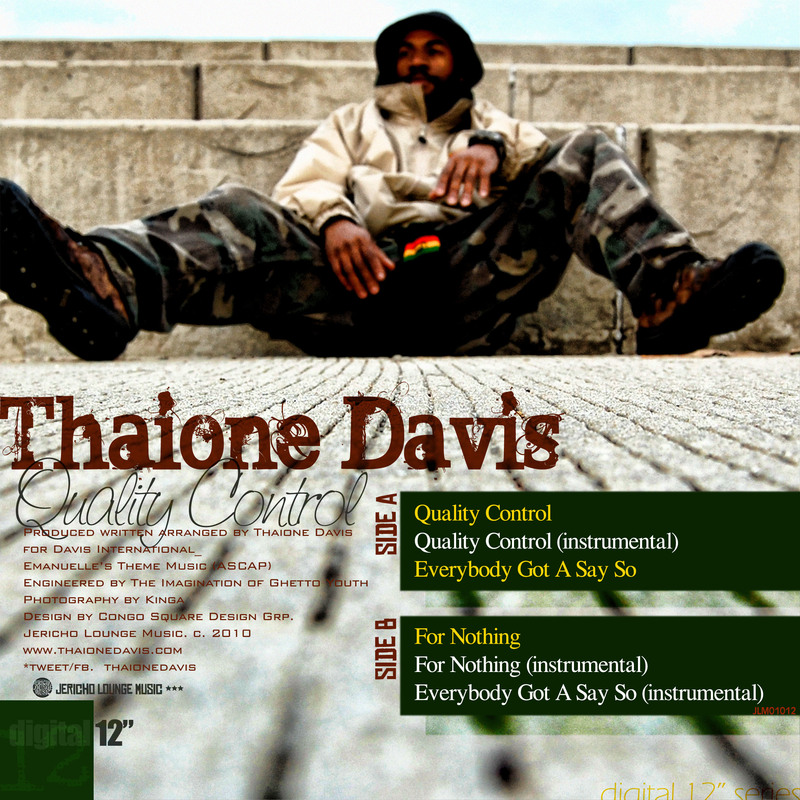 Expect more original goodness on Thaione’s “Quality Control” EP, out on June 1. Entry filed under: Beats and pieces. Tags: chicago, Jericho Lounge Music, Quality Control, Roots Manuva, Thaione Davis.